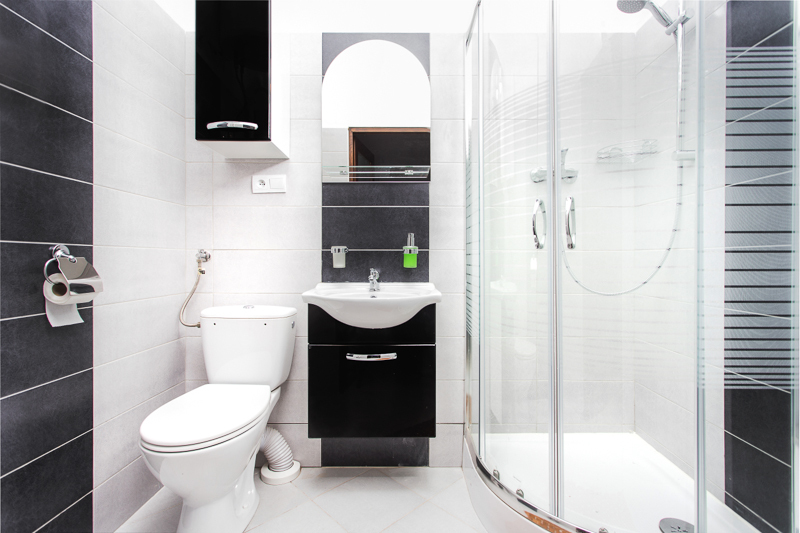 Apartment black-and-white is one of the newest rooms in the apartment building located at ul. Mikołajska 5, in the vicinity of Krakow’s Old Town. 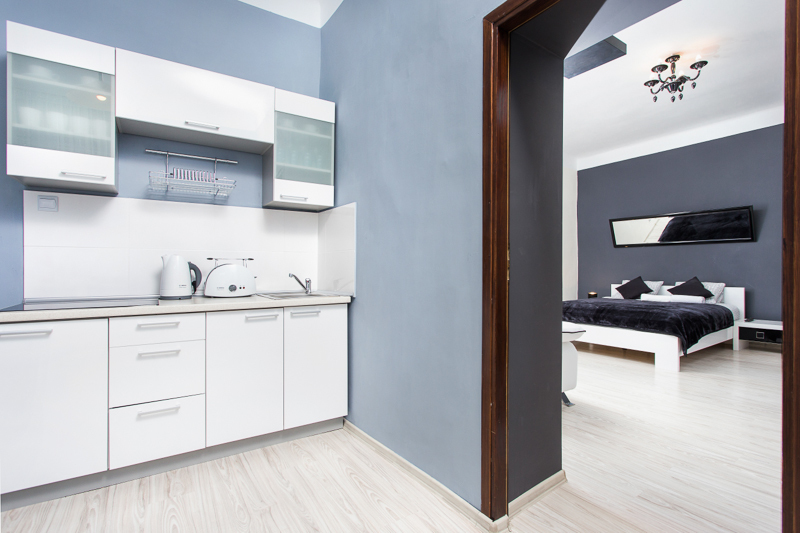 The apartment has been designed according to the latest European trends in finishing and interior design. Its colors and contrast refers to the existing space eternally warring forces of good and evil, and the Jing Jang, which represent the harmony of the world today. 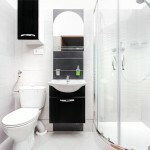 Black combined with white, is a classic that will certainly appeal to the majority of clients reside in the apartment. 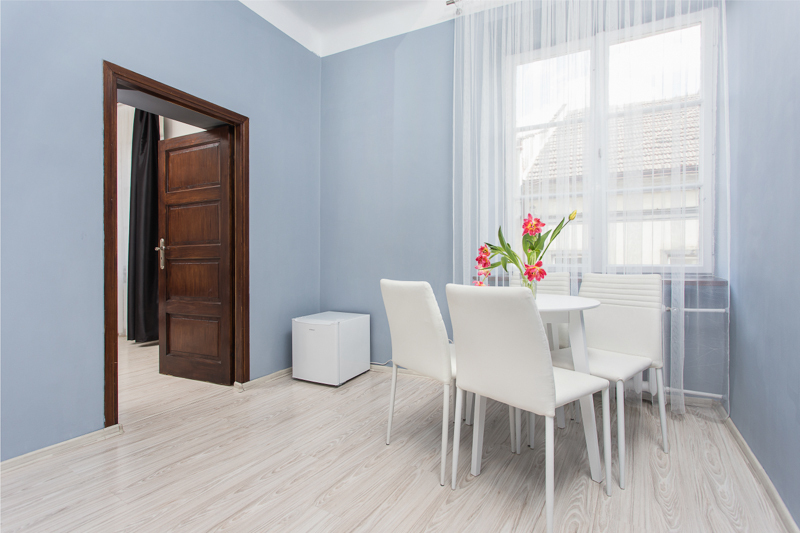 The more that room apartment has a high standard, which provides the landlord a large, comfortable bed for 2 persons (bed) with extra bed for 2 people. Available to customers is a separate, modern fitted kitchen with dining area, comfortable bathroom with shower, TV and sofa. From the windows of the apartment view painted in the courtyard, providing tranquility from the hustle and bustle. 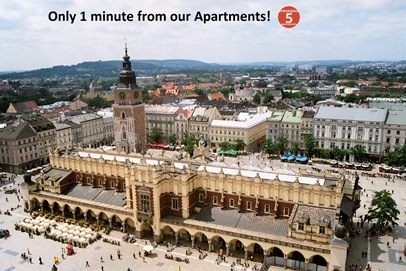 Apartment Black & White is on the second floor of the Cracow house and is designed for two people. There Where necessary dokwaterowania people, but for an extra charge 50.00 zł per day. Apartment Violet, Apartment Green, Apartment Red, Apartment Blue, Apartment Orange, Apartment Brown, Apartment Grey, Apartment Gray – Red, Apartment Antique, Apartment Brown – Black.